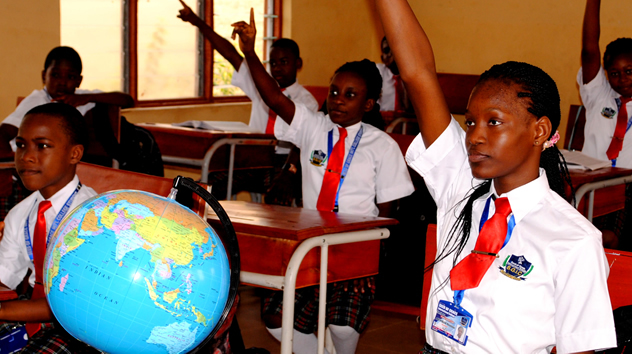 The Seed of Grace International College owned by the name of Jesus Ministries Int’l is a private co-educational Christian college with boarding and other educational facilities. It is a co-educational Christian secondary school with a mission to train students who will excel through the wisdom attained from the fear of the Lord. Our operations are therefore based on biblical principles as we believe every child matters to God. Therefore, they are valued and treated with respect. The college is blessed with a crop of qualified, dedicated, talented and experienced Christian teachers who will impart Christian moral and academic education of the highest standard into the students. We are supported by a group of dedicated, high profile board of advisers and council members, thus offering an excellent structured system of pastoral care with quality academic standard along with personal development. Why Choose Seed of Grace? We also wish to develop in our students a consciousness of the needs of society and the desire to contribute positively through selfless service, putting the totality of God-given talents and acquired knowledge to the service of humanity. Our mission at seed of Grace International College is to train students who will excel through the wisdom attained from the fear of the Lord. To raise the next generational leaders for Christ who will exhibit excellence and integrity in its entirety. Our values are based solely on the infallible word of God.